I remember this day as if it were yesterday. It was my family’s first car- a Ford Branco 1968. Ever since this car has entered my life, I have had a fascination with cars. The car in fact is mine today, 16 years later. Everything happened in that car. I went on fishing trips with my dad in there, hunting trips, and just regular road trips. This picture was taken when my dad first bought the car. I was so excited to get to ride in the passenger seat with him. I knew that new adventures were coming our way. That day, he took he fishing for the first time, and I caught my first snook ever. I wish there was a photograph of that fish I caught. We drove all to the west coast of Florida, where my dad grew up. That is where we truly connected and bonded. He taught me about his childhood and showed me where he grew up. There is something about that car that brings back all the good memories I had as a kid. I practically lived in that car. Once it was passed down to me, I couldn’t believe it. That car was my life. I drove to school in that car, drove my wife to our first date in that car, and even took her to the hospital to deliver our first born in that car. I will never sell this car, it will stay in our family forever, just like the memories. There’s Jake and the truck. The little boy and the real life Tonka toy. The boy so brash, he can barely see over the dash. It was a Sunday. Church had gotten out. Jake’s Grandmother with the big truck was in town, so that’s why Jake was in church at all. The little ball of fire burned like a blowtorch. No house of worship would ever be able to extinguish him enough to make him sit still. But Jake’s grandmother could, somehow, keep him behaved. He sat on the uncomfortable slab of wood they called pews and twiddled his thumb. He did this for his grandmother. She was very proud of her little blowtorch. Jake’s grandmother called him over to take a picture with her truck. Jake was thrilled. 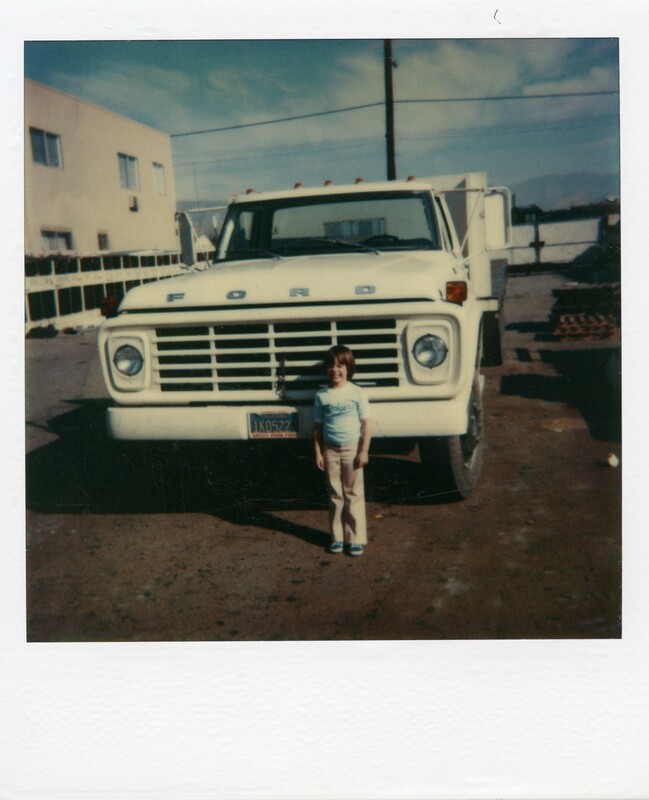 He loved his grandmother’s truck. It reminded him of his toys back home, but real. He stood in front of it and she snapped a photo. Jake said he was cold. His grandmother believed him. It was a windy day and he was wearing thing pants and a t-shirt. She gave him her keys and told him he could wait in the truck. Jake knew this would be the outcome. He was sinister. He knew that everyone would trust him if he behaved. They always did. He reserved his good days for when he wanted to cash in on them. He took the keys and eventually was able to clamber into the truck. He waited for his grandmother to be distracted by old friends before he made his move. Jake’s grandmother was talking to an old friend who had started going to this church. The wind howled in her ear and she couldn’t hear anything her friend had said. One thing she could hear, however, was the familiar sound of a V8 engine sputtering to life behind her. She turned around just in time to see her truck’s tailgate disappear around a corner. Jake had stolen her truck.